When we were yet without strength, in due time Christ died for the ungodly (Rom_5:6). Here we see conscious helplessness succored – succored by the interposition of the Lord Jesus. Our helplessness is extreme. It is not written, “When we were comparatively weak Christ died for us”; or, “When we had only a little strength”; but the description is absolute and unrestricted; “When we were yet without strength.” We had no strength whatever which could aid in our salvation; our Lord’s words were emphatically true, “Without me ye can do nothing.” I may go further than the text, and remind you of the great love wherewith the Lord loved us, “even when we were dead in trespasses and sins.” To be dead is even more than to be without strength. Let us dwell upon certain forms of this want of strength. To begin with, one man will say, “Sir, I do not seem to have strength to collect my thoughts, and keep them fixed upon those solemn topics which concern my salvation; a short prayer is almost too much for me. It is so partly, perhaps, through natural weakness, partly because I have injured myself through dissipation, and partly also because I worry myself with worldly cares, so that I am not capable of those high thoughts which are necessary ere a soul can be saved.” This is a very common form of sinful weakness. Note this! You are without strength on this point; and there are many like you. They could not carry out a train of consecutive thought to save their lives. Many poor men and women are illiterate and untrained, and these would find deep thought to be very heavy work. Others are so light and trifling by nature, that they could no more follow out a long process of argument and reasoning, than they could fly. They could never attain to the knowledge of any profound mystery if they expended their whole life in the effort. You need not, therefore, despair: that which is necessary to salvation is not continuous thought, but a simple reliance upon Jesus. Hold you on to this one fact – “In due time Christ died for the ungodly.” This truth will not require from you any deep research or profound reasoning, or convincing argument. There it stands: “In due time Christ died for the ungodly.” Fix your mind on that, and rest there. I have heard another say, “I am tormented with horrible thoughts. Wherever I go, blasphemies steal in upon me. Frequently at my work a dreadful suggestion forces itself upon me, and even on my bed I am startled from my sleep by whispers of the evil one. I cannot get away from this horrible temptation.” Friend, I know what you mean, for I have myself been hunted by this wolf. A man might as well hope to fight a swarm of flies with a sword as to master his own thoughts when they are set on by the devil. A poor tempted soul, assailed by satanic suggestions, is like a traveler I have read of, about whose head and ears and whole body there came a swarm of angry bees. He could not keep them off nor escape from them. They stung him everywhere and threatened to be the death of him. I do not wonder you feel that you are without strength to stop these hideous and abominable thoughts which Satan pours into your soul; but yet I would remind you of the Scripture before us – “When we were yet without strength, in due time Christ died for the ungodly.” Jesus knew where we were and where we should be; He saw that we could not overcome the prince of the power of the air; He knew that we should be greatly worried by him; but even then, when He saw us in that condition, Christ died for the ungodly. Cast the anchor of your faith upon this. The devil himself cannot tell you that you are not ungodly; believe, then, that Jesus died even for such as you are. Remember Martin Luther’s way of cutting the devil’s head off with his own sword. “Oh,” said the devil to Martin Luther, “you are a sinner.” “Yes,” said he, “Christ died to save sinners.” Thus he smote him with his own sword. Hide you in this refuge, and keep there: “In due time Christ died for the ungodly.” If you stand to that truth, your blasphemous thoughts which you have not the strength to drive away will go away of themselves; for Satan will see that he is answering no purpose by plaguing you with them. These thoughts, if you hate them, are none of yours, but are injections of the Devil, for which he is responsible, and not you. If you strive against them, they are no more yours than are the cursings and falsehoods of rioters in the street. It is by means of these thoughts that the Devil would drive you to despair, or at least keep you from trusting Jesus. The poor diseased woman could not come to Jesus for the press, and you are in much the same condition, because of the rush and throng of these dreadful thoughts. 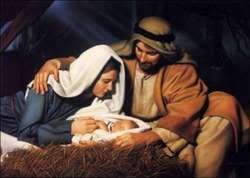 Still, she put forth her finger, and touched the fringe of the Lord’s garment, and she was healed. Do you the same. Jesus died for those who are guilty of “all manner of sin and blasphemy,” and therefore I am sure He will not refuse those who are unwillingly the captives of evil thoughts. Cast yourself upon Him, thoughts and all, and see if He be not mighty to save. He can still those horrible whisperings of the fiend, or He can enable you to see them in their true light, so that you may not be worried by them. In His own way He can and will save you, and at length give you perfect peace. Only trust Him for this and everything else. Many remain in the dark for years because they have no power, as they say, to do that which is the giving up of all power and reposing in the power of another, even the Lord Jesus. Indeed, it is a very curious thing, this whole matter of believing; for people do not get much help by trying to believe. Believing does not come by trying. If a person were to make a statement of something that happened this day, I should not tell him that I would try to believe him. If I believed in the truthfulness of the man who told the incident to me and said that he saw it, I should accept the statement at once. If I did not think him a true man, I should, of course, disbelieve him; but there would be no trying in the matter. Now, when God declares that there is salvation in Christ Jesus, I must either believe Him at once, or make Him a liar. Surely you will not hesitate as to which is the right path in this case, The witness of God must be true, and we are bound at once to believe in Jesus. But possibly you have been trying to believe too much. Now do not aim at great things. Be satisfied to have a faith that can hold in its hand this one truth, “While we were yet without strength, in due time Christ died for the ungodly.” He laid down His life for men while as yet they were not believing in Him, nor were able to believe in Him. He died for men, not as believers, but as sinners. He came to make these sinners into believers and saints; but when He died for them He viewed them as utterly without strength. If you hold to the truth that Christ died for the ungodly, and believe it, your faith will save you, and you may go in peace. If you will trust your soul with Jesus, who died for the ungodly, even though you cannot believe all things, nor move mountains, nor do any other wonderful works, yet you are saved. It is not great faith, but true faith, that saves; and the salvation lies not in the faith, but in the Christ in whom faith trusts. Faith as a grain of mustard seed will bring salvation. It is not the measure of faith, but the sincerity of faith, which is the point to be considered. Surely a man can believe what he knows to be true; and as you know Jesus to be true, you, my friend, can believe in Him. That Thou suffer’dst thus for me. “Alas!” cries another, “my want of strength lies in this direction, that I cannot quit my sin, and I know that I cannot go to Heaven and carry my sin with me.” I am glad that you know that, for it is quite true. You must be divorced from your sin, or you cannot be married to Christ. Recollect the question which flashed into the mind of young Bunyan when at his sports on the green on Sunday: “Wilt thou have thy sins and go to hell, or wilt thou quit thy sins and go to heaven?” That brought him to a dead stand. 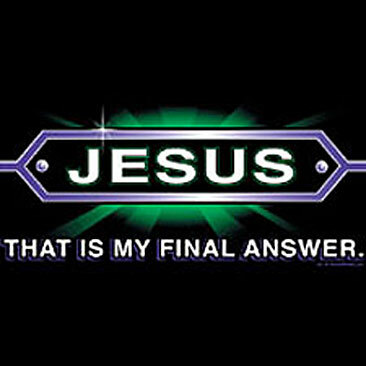 That is a question which every man will have to answer: for there is no going on in sin and going to heaven. That cannot be. You must quit sin or quit hope. Do you reply, “Yes, I am willing enough. To will is present with me, but how to perform that which l would I find not. Sin masters me, and I have no strength.” Come, then, if you have no strength, this text is still true, “When we were yet without strength, in due time Christ died for the ungodly.” Can you still believe that? However other things may seem to contradict it, will you believe it? God has said it, and it is a fact; therefore, hold on to it like grim death, for your only hope lies there. Believe this and trust Jesus, and you shall soon find power with which to slay your sin; but apart from Him, the strong man armed will hold you for ever his bond slave. Personally, I could never have overcome my own sinfulness. I tried and failed. My evil propensities were too many for me, till, in the belief that Christ died for me, I cast my guilty soul on Him, and then I received a conquering principle by which I overcame my sinful self. The doctrine of the cross can be used to slay sin, even as the old warriors used their huge two-handed swords, and mowed down their foes at every stroke. There is nothing like faith in the sinner’s Friend: it overcomes all evil. If Christ has died for me, ungodly as I am, without strength as I am, then I cannot live in sin any longer, but must arouse myself to love and serve Him who hath redeemed me. I cannot trifle with the evil which slew my best Friend. I must be holy for His sake. How can I live in sin when He has died to save me from it? I hear another bewailing himself thus: “Oh, sir, my weakness lies in this, that I do not seem to keep long in one mind! I hear the word on a Sunday, and I am impressed; but in the week I meet with an evil companion, and my good feelings are all gone. My fellow workmen do not believe in anything, and they say such terrible things, and I do not know how to answer them, and so I find myself knocked over.” I know this Plastic Pliable very well, and I tremble for him; but at the same time, if he is really sincere, his weakness can be met by divine grace. The Holy Spirit can cast out the evil spirit of the fear of man. He can make the coward brave. Remember, my poor vacillating friend, you must not remain in this state. It will never do to be mean and beggarly to yourself. Stand upright, and look at yourself, and see if you were ever meant to be like a toad under a harrow, afraid for your life either to move or to stand still. Do have a mind of your own. This is not a spiritual matter only, but one which concerns ordinary manliness. I would do many things to please my friends; but to go to hell to please them is more than I would venture. It may be very well to do this and that for good fellowship; but it will never do to lose the friendship of God in order to keep on good terms with men. “I know that,” says the man, “but still, though I know it, I cannot pluck up courage. I cannot show my colors. I cannot stand fast.” Well, to you also I have the same text to bring: “When we were yet without strength, in due time Christ died for the ungodly.” If Peter were here, he would say, “The Lord Jesus died for me even when I was such a poor weak creature that the maid who kept the fire drove me to lie, and to swear that I knew not the Lord.” Yes, Jesus died for those who forsook him and fled. Take a firm grip on this truth – “Christ died for the ungodly while they were yet without strength.” This is your way out of your cowardice. 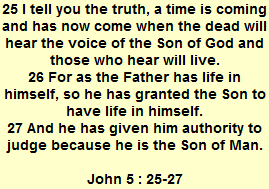 Get this wrought into your soul, “Christ died for me,” and you will soon be ready to die for Him. 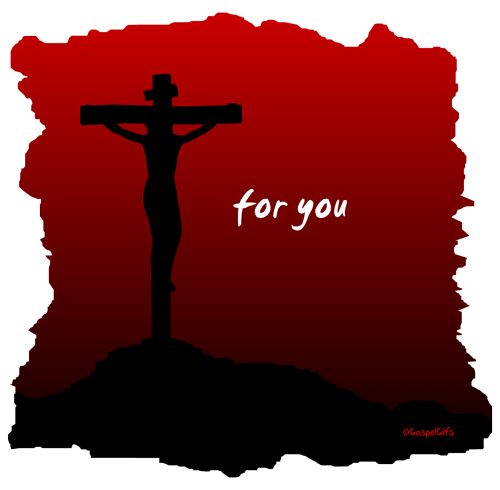 Believe it, that He suffered in your place and stead, and offered for you a full, true, and satisfactory expiation. If you believe that fact, you will be forced to feel, “I cannot be ashamed of Him who died for me.” A full conviction that this is true will nerve you with a dauntless courage. Look at the saints in the martyr age. In the early days of Christianity, when this great thought of Christ’s exceeding love was sparkling in all its freshness in the church, men were not only ready to die, but they grew ambitious to suffer, and even presented themselves by hundreds at the judgment seats of the rulers, confessing the Christ. I do not say that they were wise to court a cruel death; but it proves my point, that a sense of the love of Jesus lifts the mind above all fear of what man can do to us. Why should it not produce the same effect in you? Oh that it might now inspire you with a brave resolve to come out upon the Lord’s side, and be His follower to the end!